First, let me clear some doubts and probably set the records straight before we can have a realistic attempt to answering this question. Haven said that, let’s move on. Sell something to people that need it; you have sold their problem by selling something they need to them when they need it. Render a service to people using your skill set, expertise, talent or experience; by rendering service or services to people, you have also helped them to solve their problem. The above is the golden rule governing making money in life, whether online or offline, so how you approach it will determine your level of success or breakthrough. In this case, we have a defined target; we want to make $50,000 in 12 months, which is the same as one year. Our first step towards achieving this goal is to break it down; let’s divide $50,000 into twelve, that will give us approximately $4,200. Which means, we need to make $4,200 every month for 12 months to be able to meet our target earnings of making $50,000 in 12 months. d.) your startup capital (yes you definitely need a startup capital to make good money online). Meanwhile, since we are working on a set target or deadline, and with a limited startup capital, I am going to be very honest with you, forget about any money making secret or get rich quick method you have heard about or read about, the fastest sure way (with at least 60 - 80% success guarantee) to make this $50,000 in 12 months is through selling something via drop-shipping business model. With this in mind, I think we have been able to solve 50% of our dilemma, so we are now left with the steps or how to make this happen successfully in order for us to make at least $50,000 at the end of 12 months time. I am going to assume that you have a startup capital of $300 (of course this is a very low startup budget for someone that has a target of making $50,000 online in 12 months), which is fair enough for a beginner trying to start something from scratch. So to make it easy for you and others who may stumble upon this post to follow, I will itemize the next explanations in what I will call steps. Buy a domain name: based on your chosen niche, buy a domain to reflect the kind of products you intend to sell. For instance, if you want to sell pet products, you can buy a domain name like “petslove.com”. You can buy one from namecheap, godaddy, etc for as low as $1, just google Godaddy or namecheap $1 domain code. Sign up with shopify and start with their 14-days free trial (google it, you will see the code, I will try and find it and add here later). Setup your shopify store and link your store with your purchased domain name. If you can’t design or setup the store yourself, go to fiverr and hire a freelancer for as low as $10 - $20 to help you setup your shopify store to look profesional. Also hire a freelancer on fiverr (click here) to help you design lovely logo and banners for your store for $10 or less, and make sure your logos and banners reflect your store name and product niche. Install oberlo plugin available for free on shopify, you may ask why do you need this plugin? The answer is to help you import as many products as possible from aliexpress to your store. Remember, because of low budget or let me say limited startup capital, we will be starting with drop-shipping business as one of the quickest sure ways to earn our target income of $50,000 in 12 months; I think I have mentioned this earlier. Now, if you don’t know what drop-shipping business is, let me give you a simple explanation here rather than referring you back to google. Drop-shipping business is a type of business that involves selling something you don’t have in stock and still make profit from sales margin. Let’s say you identified a supplier or warehouse or wholesaler who sells washing machine at a very affordable price of say $90, and you are able to convince the dealer to allow you market and resell his washing machine to your audience while he helps you deliver the item to any buyer you get, without you haven to go to his warehouse to carry it and deliver to buyer. After convincing the dealer, you start to advertise his goods as if you have it in stock. Let’s assume that you added $60 to the dealer’s price, that will make your selling price $90 + $60 = $150, and when you finally get a sale or sales (you must have collected money from the buyer and also collected the buyer’s shipping address and contact info). Then you go back to the dealer you reached agreement with, and purchase the washing machine at agreed dealer price of $90 and the dealer helps you deliver to your buyer, and the deal is done. Note: you must inform your supplier ahead that you don’t want him to put his company details or receipt showing his information on the package while shipping to your buyer; most suppliers that do drop-shipping already know this, so they won’t find it hard to agree with your request. In the above scenario, you have just earned yourself $150 - $90 = $60, and let’s assume you spent extra $25 on advertising to get the buyer, that will give you a total profit of $60 - $25 = $35 profit. Assuming you sold up to 4 of the washing machine, that means $35 x 4 = $140 profit margin, probably in few hours! That is how drop-shipping business works. 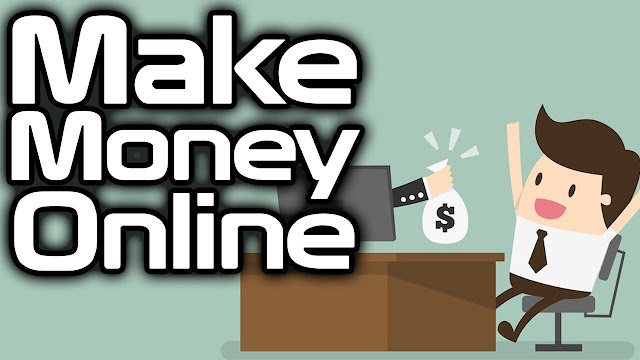 So with internet, all you need to make your drop-shipping business work is to create an online store (using shopify in this case for easy setup), import fast selling products into your store, advertise your store to attract visitors and possibly buyers, get sales, fulfill the orders (sales), and then make profit margin. Use oberlo plugin which you have installed on your store in step 5 and import fast selling products available on aliexpress into your shopify store. Let’s assume that you chose pet products as your product niche, then when you open oberlo app on your store (log into your shopify store, go to apps, open oberlo, import products), it will automatically take you straight to aliexpress site where you will be importing fast selling and highly affordable pet products from. On the search bar available there, search for the kind of pet stuff you intend to sell and you will see varieties, select the ones you feel would sell faster and export to your store, then edit their prices on your store to reflect your profit margin choice. I will advice a 60% profit margin, and make sure you do not select costly products so that the selling price won’t be too high for buyers to patronize your store; remember there is high competition now unlike when we started some years back, I have to be honest with you so you don’t feel the breakthrough will come without effort. Now, I think we skipped something, before you start to import products from aliexpress to your store, you need to register a free account with aliexpress.com in order for you to be able to purchase the products you added to your store when someone places an order for it. So the thing is, when someone orders any of the pet products you imported to your store from aliexpress using oberlo app, you will go back to your store and order it via oberlo, though this can be automated, but that is a whole lot of topic to cover in just single post, so I will skip it. Getting sales - how do you get sales on your new store? In order for you to make profit in this drop-shipping business, you need to make sales, as in lots of sales because the higher the sales, the higher the profit you make, so you need as much sales as possible, so how do you get the sales? Create a Facebook and Instagram page, Twitter and Pinterest accounts for your pet products and start uploading interesting pet videos and funny GIFS to attract fans and followers to your pet store page and social media accounts. Make sure your facebook page name matches with your store name for proper image branding. Another thing you must note is; to sell fast in today world, tell a story. Selling with interesting story is far more successful than selling with just image. So you must learn to create interesting, captivating product stories to be able to sell your products faster. Remember, your story can be in the form of short but must be a captivating video to get people’s attention. Then you can attach a short video of a lovely puppy in your car, and share the video on your facebook page. You can boost this post on facebook using paid facebook ad for as low as $10 to reach thousands of people. I promise you, this post alone will sure get you likes, shares and of course visits to your pet store site, which will definitely convert into sales. Intensify your promotion and advert using Instagram shoutouts and paid Facebook advert. For instagram shoutouts, you will need to reach out to top Instagram accounts related to your product niche and ask them shoutouts. Some will charge you as low as $5 - $10 per shoutout, and if you reached out to the right IG account with the right audience and real followers engagement, you will definitely get sales through their shoutouts. As for Facebook advertising, you will need to target your ads properly, by selecting the right KPIs, and using the right images. This is a separate topic of its own, which will find time to explain in a separate post later. Remember, our target income every month is $4,200, which means we need to be earning $140 daily for the next 12 months. Assuming the average profit margin on the products you uploaded on your shopify store is $25, that means you need 6 successful sales everyday to reach this target, which is very possible if you apply the above steps correctly. Let me also tell you that if you applied the steps correctly, the possibility of making more than our target income of $4,200 monthly is high, so go and prosper! I remain your friend and mentor, Frank of Frankwealth Team, thank you.